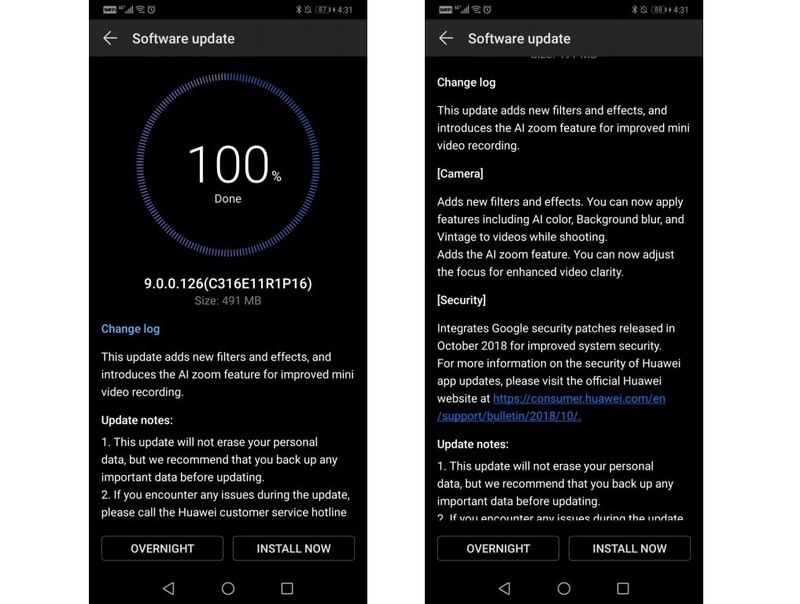 Huawei's newest flagship, Mate 20 Prom which was unveiled only a few days ago, already receives its first update the goal of which is to even further improve the capabilities of the camera. As you can see in the picture below, the new update brigs new filters and effects such as AI color, backgroud blurr, Vintage, toegher with AI zoom that should adapt the focus and improve recorded videos. The update comes in a 491MB package and is at the moment available in Great Britain and South Africa, and in the next several days it should be available in other contries worldwide.